There are a number of projects I've completed this year, but haven't gotten around to posting. I thought it would be fun to wrap up the year by going through that completed list and sharing the rest of those projects over the next few days. 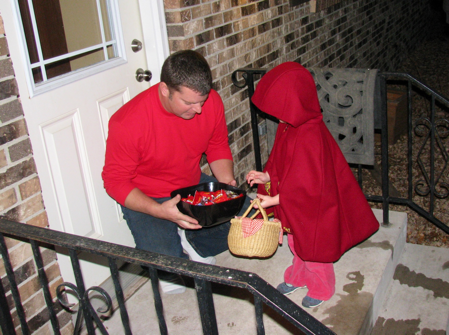 For Halloween this year my daughter decided she wanted to be Little Red Riding Hood. Turns out this is a great costume idea, as the costume itself is fairly simple to make, and it's so easy to put on and take off - perfect for a 3 year old. 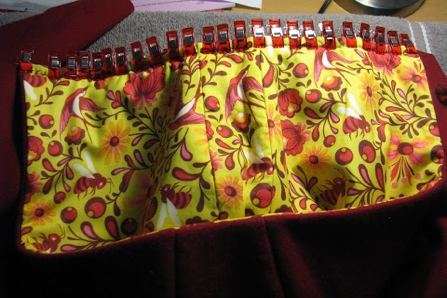 I used the Little Red Riding Hood Cape pattern from LIttle Things to Sew. The pattern sizes in the book are listed as 0-4 and 5-10. I went with the 5-10 size, as I wanted the cape to be a little longer than shown in the book, and with using good-quality (read: expensive) wool, I really wanted it to be big enough to last a few years. 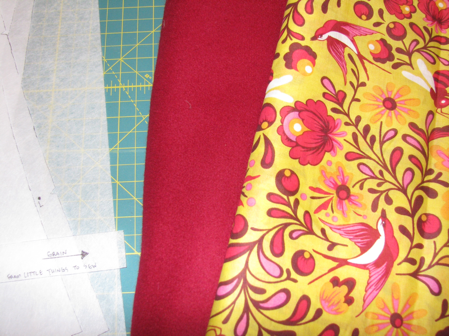 I picked up my fabric at Treadle, a pretty dark red melton wool for the outside, and some beautiful voile from Tula Pink's The Birds and the Bees for the liner. The staff at Treadle are so knowledgeable and helpful; I hadn't sewn with wool or voile before, and was a little nervous about the durability of the voile. 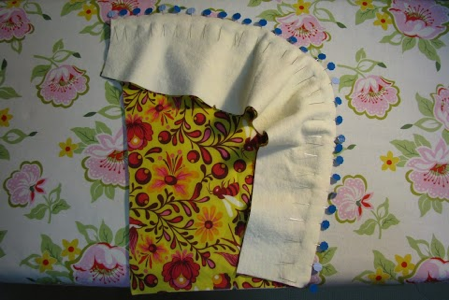 They suggested maybe using flannel with the voile as I didn't really want to use interfacing. I ended up really liking using the flannel; it added some extra warmth and weight to the cape, and I realized after I was working on it that I was really happy I had that extra layer as the voile is thin enough that the voile would have looked considerably darker if directly backed by the dark red wool. The cape turned out beautifully and has been getting regular use since Halloween. It's been just as fun to wear on our weekend outings to run errands as it has for special occasions.